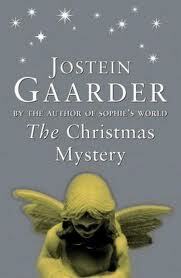 I know it's a liiiitle early but last year, me and my oldest daughter read The Christmas Mystery by Jostein Gaarder throughout December and I'd love to do the same this year but with another book. I'm looking for something either Christmassy or wintry. My daughter is 9 but an advanced reader so if anyone has any suggestions I would be extremely grateful.